Lone Star College is committed to providing a safe environment in which to learn, study, and work. The campus Public Address system and LoneStarCollegeAlert will be activated by the LSC Police to provide information and directions when there is an immediate threat on campus. LSC-Victory Center in lockdown as a precaution. There is Houston Police Department activity near campus. Stay in classrooms/offices until notified via public address. During high alert situations or when campus closures are a possibility, LoneStar.edu and Lone Star College social media channels such as Twitter and Facebook will also display notifications, instructions and updates with the latest status information. All current LSC students and employees are automatically opted-in to our emergency alert system with their LoneStar.edu email address as the primary communication source. Personal contact information must be updated in myLoneStar to receive emergency text messages or notifications to a personal email account. If you want to receive emergency text messages to your cell phone, you MUST login to myLoneStar and update your official student or employee personal information record with your cell phone information. 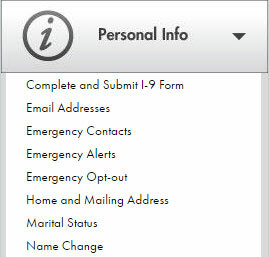 Expand the Personal Info section, and click "Phone Numbers." 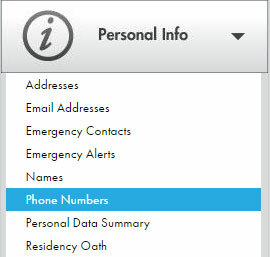 Add phone numbers by using the drop down menus to select type: mobile, home, other. Give your name, location and phone number. Look for information from your Lone Star Email (UserID@lonestar.edu or UserID@my.lonestar.edu), Twitter, and local media sources. An involved and informed community is a well prepared community. Your partnership with Lone Star College and the Office of Emergency Management is key to our security and emergency management strategy. View the LSC Emergency Preparedness Guide for more information. Community members and Lone Star College tenants who might be visiting a Lone Star College campus and would like to receive alerts can sign up online at https://lscsalert.lonestar.edu.